Mukasey Frenchman & Sklaroff LLP today announced the formation of a boutique law firm dedicated to representing clients when they must fight to protect their freedom, their business, or their reputation. The firm will focus on trials and government investigations and will be led by Founding Partner Marc L. Mukasey, Robert S. Frenchman and Jeffrey B. Sklaroff, who will serve as Managing Partner. "Mukasey Frenchman & Sklaroff is a law firm built specifically for the courtroom," said Mr. Mukasey. "We have tried criminal and civil cases across the country against the Department of Justice, U.S. Attorney's Offices, the SEC (News - Alert), and District Attorney's offices, and we took that experience and built a firm for the 2020s - high-performance, responsive, lean and technologically advanced. When corporations, executives, and professionals need to fight to protect their freedom, their business, or their reputation, we are ready for trial." Mukasey Frenchman & Sklaroff represents leading executives, financial services clients, notable personalities in sports, business, media and politics, as well as public and private corporations. The firm will focus on white collar matters, complex litigation and regulatory enforcement proceedings. 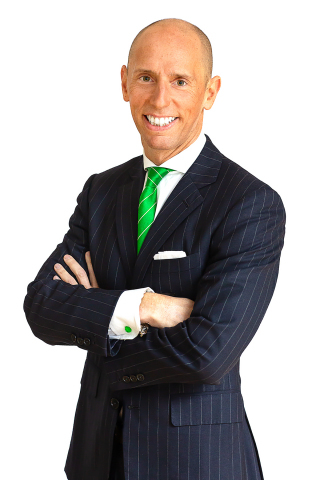 Marc L. Mukasey is a renowned criminal trial lawyer who defends high-profile executives and corporations in the worlds of finance, politics, energy, media and sports. His recent work includes two very rare white collar criminal defense trial victories - the first-ever acquittal in a commodities "spoofing" trial (U.S. v. Flotron) and the successful trial defense of a bond trader (U.S. v. Gramins). Marc has also represented a major oilfield services company in the Deepwater Horizon explosion, the Chairman and CEO of a leading network, and a Hall of Fame basketball coach in federal criminal investigations. In addition to his courtroom work, Marc is often called upon to convince the authorities to close investigations without filing charges. He is a Fellow of the American College of Trial Lawyers and has been named multiple times by Law360 as an MVP of the Year in the White Collar category, most recently in 2018. Prior to founding the firm, Marc was the Chairman of white collar defense practices at two international law firms, and a Chief in the U.S. Attorney's Office for the Southern District of New York. Robert S. Frenchman represents financial services clients in white collar matters, complex litigation, and regulatory enforcement proceedings. Bob has defended financial services clients during investigations and at trial, often facing off against the Securities and Exchange Commission, the Commodity Futures Trading Commission, and the Financial Industry Regulatory Authority. These representations have involved, among other things, insider trading, allocations in initial public offerings, spoofing, specialist trading, Nasdaq market-making, RMBS trading, order routing, short selling, benchmark rates, securities lending, margin, gifts and gratuities, and research. In addition to his work on the Gramins and Flotron trials, Mr. Frenchman represented key witnesses in two recent insider trading trials - U.S. v. Martoma, in which he secured a non-prosecution agreement for his client, and U.S. v. Blaszczak. Mr. Frenchman was a partner in two international law firms before the formation of Mukasey Frenchman & Sklaroff. Jeffrey B. Sklaroff has a varied litigation practice focused on a wide range of criminal matters including the representation of corporations and executives at every stage of a case - from grand jury investigation, through trial, and on appeal. Jeff was co-counsel in one of the leading criminal trial victories of recent years - U.S. v. Gramins. Jeff is also an experienced civil trial lawyer and he has conducted internal investigations for clients around the world. Jeff has a distinguished history of selection by judges to serve as a receiver in an SEC action, and as counsel to the Grand Jury Project, a committee of judges, professors and private practitioners charged with rendering recommendations to improve the grand jury system in New York. He is also the Special Counsel to the Chair of the New York State Justice Task Force. Before becoming Managing Partner of the firm, Mr. Sklaroff was a partner in a major international law firm, and an Assistant U.S. Attorney in the Southern District of New York. Learn more about Mukasey Frenchman & Sklaroff at www.MFSLLP.com.